In 2004, Slovenia – a former part of communist Yugoslavia – entered the European Union. In doing so, it had to incorporate ‘Western’ European values of national self-understanding and abandon communism as a reliable concept of state organisation. In this particular historical moment of a changing political and cultural climate, the crucial questions are: when does identity matter and how do these identity matters emerge. 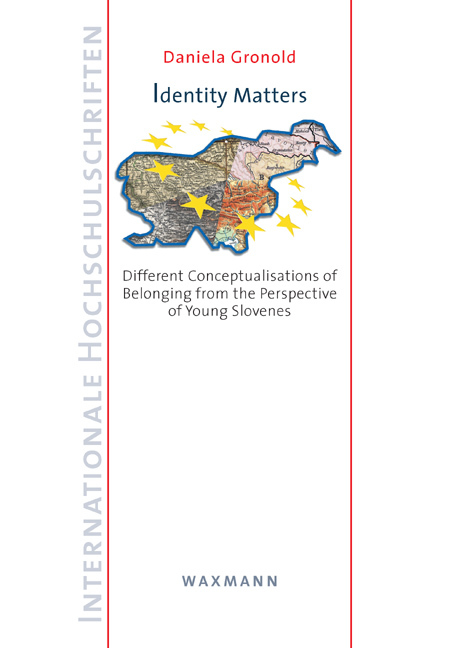 The book focuses on identity and belonging of young Slovene adults and their definition of belonging outside or beyond the nation state. Related to this, “Identity Matters” critically reflects upon the sense of Europeanness offered by the European Union and is supportive of a concept that transgresses the modern condition of the nation state. The theoretical line of argument does not suggest burying the nation state as a concept, but rather to outline the competitive field of identity providers and reflect upon the implications for people’s lives and communities. Daniela Gronold received a doctoral degree in Media and Communication Studies. She is based at the University of Klagenfurt in the Centre for Peace Research and Peace Education. Her academic interests focus on gendered and nationalised identities, racism and public representation, Critical Whiteness Studies and Postcolonial Studies.